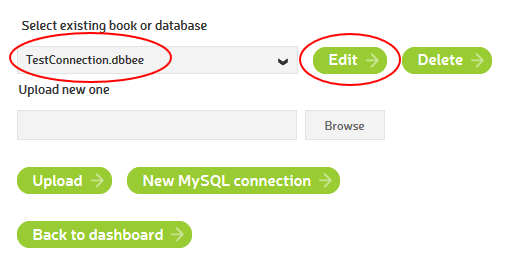 With dbBee, connecting to MySQL database has never been easier. 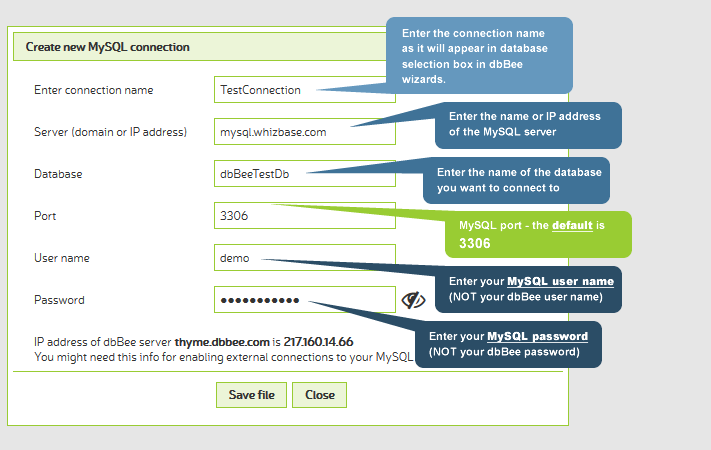 dbBee treats MySQL connections the same way as your Excel workbooks or Access database, with one difference - you do not upload MySQL database, but create the connection using the database manager. Once created, MySQL connection can be used form any project in your hive. Once you enter all the data, click the "Save file" button. Please note that dbBee tests connections before saving them, and saves only the successful ones. If test fails, dbBee will display the error message received from your MySQL server.